Dr. Yi grew up in Auburn, Washington. After graduating from Thomas Jefferson High School with honors, he received Bachelors in Science degree in Mechanical Engineering from University of Washington. He attended University of Washington Dental School and received Doctor of Dental Surgery(DDS) in 1998. Dr. Yi has been practicing at Bellevue Dental Care since 1999. He is an active member of American Dental Association, Washington State Dental Association, and Seattle-King County Dental Association. He is also involved with Christian Medical Dental Association and Christian Dental Association. He has been involved in Continuing Dental Education that includes Cosmetics, Endodontics, and Oral Surgery. 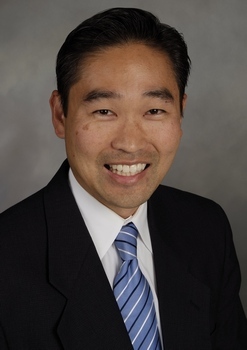 Currently, Dr. Yi resides in Sammamish with his wife Sandy and four children. He loves spending time with the family. His hobbies include golf, skiing, running, cycling. As you can see he loves all the outdoor activities. Most importantly, he is a professed born-again Christian and travels abroad on mission trips to provide dental care for those in need.